Shrinks fat cells, stops them reproducing whilst turning fat into fluid which is expelled naturally from the body, ridding yourself of orange peel. Recommended minimum 10 treatments (1 per week). The ultimate Anti Cellulite treatment using Mesotherapy to remove fat from the system and slowing down further storage of Cellulite causing fat cells. 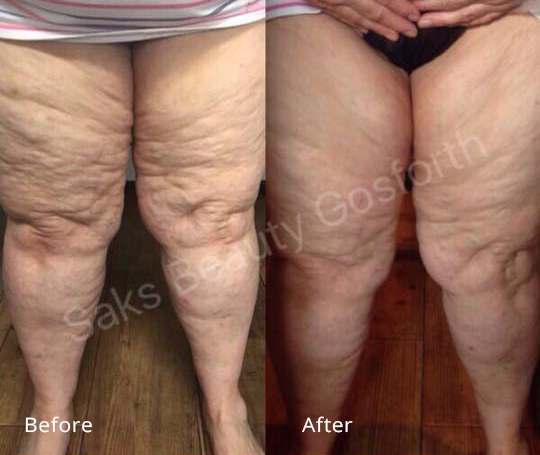 This treatment works on the thighs, buttocks and stomach using Raspberry Ketones and Green Coffee as promoted by Dr. Oz, ketones and caffeine aid slimming whilst new technology heats the skin during the treatment to tighten the skin as Cellulite is being removed.